Eric Ambel of the Del-Lords is special guest. OXFORD, Miss. 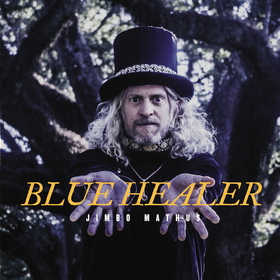 — From the gritty, chiming six-string stomp of opener “Shoot Out the Lights” to the angelic gospel choir and piano finale of “Love and Affection,” the new album Blue Healer is a flat-out, no holds barred, brawling, sprawling excursion through the deep musical soul of Jimbo Mathus. Born and raised in North Mississippi, where the sound of the region’s blues and gospel blend with the echoes of rock and R&B from nearby Memphis, Mathus has become a vital link in the chain of great American music. He built the foundation of the ongoing old-timey/swing revival with unlikely ’90s hit-makers the Squirrel Nut Zippers. Then Mathus became an MVP indie producer and sideman who made his bones playing guitar on blues legend Buddy Guy’s seriously twisted electric groundbreaker Sweet Tea. He’s also a co-founder of the critically heralded South Memphis String Band, with fellow roots music rabble-rousers Luther Dickinson, of North Mississippi All Stars, and Alvin Youngblood Hart. And along the way he’s toured internationally and recorded under his own name and with his Tri-State Coalition band, leaving a dozen untamed, free-ranging albums in his wake. Now the artist has created his absolute manifesto with Blue Healer. The 12-song set was co-produced by Mathus and Big Legal Mess/Fat Possum house studio maven Bruce Watson at Dial Back Sound in Water Valley, Mississippi, an all-analog recording palace that’s perfect for Mathus’ blend of old-school tones and edgy, kinetic energy. At its core, Blue Healer is a concept album with room for acid-fed, supernatural visions, vulnerable love songs, Saturday night brawls, bad-boy regrets and youthful celebrations — all embellished by Mathus’ estimable abilities as a natural raconteur and straight-from-the-heart singer. The Blue Healer — not to be confused with the Blue Heeler, or Cattle Dog — is a mythological figure that makes her appearance three songs into the album, on the title number. Mathus intones the story of this mysterious yet comforting female presence over a fever dream soundtrack where reverb drenched guitars writhe like angry serpents in a Delta fog and lysergic Farfisa stirs the mists. By then Mathus — or, at least, the album’s protagonist — needs healing. He’s gotten into plenty of trouble, raising a raunchy, riff-driven rock ’n’ roll ruckus with help from Del Lords’ guitarist Eric Ambel on the opener “Shoot Out the Lights,” and ticking off a list of vices and failings from drug use to pyromania in the confessional “Mama Please.” “Coyote” briefly changes the setting from the Deep South to a peyote-fueled Southwestern landscape, where tremolo’d guitars are the breadcrumbs along a cosmic cowboy’s trail that runs among the rough-hewn sonic landmarks of Neil Young, the Electric Prunes and spaghetti western film composer Ennio Morricone. The quiet spirit of “Thank You,” a love song that Mathus sings to the spare accompaniment electric and acoustic guitars, spotlights the dusty sincerity reflected in his voice throughout the album. 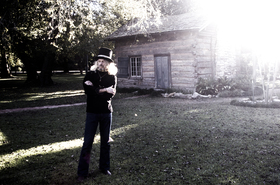 In fact, his graceful and commanding vocals on Blue Healer are the spine and soul of its songs, no matter where they roam — even when Mathus is serving up hot refried Southern boogie on “Bootheel Witch” or using weeping pedal steel to abet his country-style tale of prize winning lay-about “Old Earl.” It all culminates in “Love and Affection,” which is a breathing compendium of the major elements in Mathus’ musical DNA: rock ’n’ roll strut, blues guitar hijinks, backwoods funk and gospel testifying, all framed by untrammeled joy. Through seven albums and one hit single, 1996’s MTV favorite “Hell,” the Zippers negotiated the turf of roots music, alternative rock and hipster cool like penguins on a slalom course. By the time the group disbanded in 2000 — although reunions continue — Mathus had already begun a solo career with the 1997 release of Jas. Mathus & His Knockdown Society Play Songs for Rosetta, an effort to raise money for his ailing one-time nanny Rosetta Patton, the daughter of legendary early Delta bluesman Charley Patton. Along with the string of ensuing solo recordings and productions for mostly local bands at his now-gone Delta Recordings studio in Clarksdale, Mississippi, he also embarked on a career as a session player. In 2001 he was the second guitarist and creative sparkplug for Buddy Guy’s expressionist blues explosion Sweet Tea, and worked on its follow-up, the Grammy winning Blues Singer. Further fueled by an apprenticeship with the great producer/pianist/raconteur and fellow Mississippian Jim Dickinson — whose history ran from the beginnings of the Memphis blues festival to Captain Beefhart’s Magic Band to the Rolling Stones’ Sticky Fingers to the Replacements to his sons’ North Mississippi All Stars — Mathus was ready for an evolutionary leap. “I was encouraged by great men to take on the full Southern musical landscape and forge it into my own cannon of songs — to dig deep inside myself and to look and listen hard at what I found there,” he says. The results can be found on his albums Jimmy the Kid, Confederate Buddha, Blue Light, White Buffalo and 2012’s Dark Night of the Soul, which marked his first collaboration with co-producer Watson. And they culminate in the wild, revelatory contours of Blue Healer. “And so,” Mathus adds, “the journey continues."